Summer is the perfect time for children to have fun while getting up to speed on a second or additional language that is less used throughout the rest of the year. Ideally that means visiting and immersing* in a city that speaks the target language. Children will be completely surrounded by the language they are learning, they see the language written everywhere they go, and they interact with people who speak the language as natives. When children learn through natural communication and by living life in that language, they embrace and learn it just as they do their first language! However, that is not always an option for everyone so the next best thing is a Mandarin immersion camp where children similarly see, hear and experience the language spoken by native Mandarin speakers on a daily basis. 1) Are The Teachers Engaging And Experienced In Immersion Learning? It is not enough to have a native speaker as a teacher! Look for teachers that understand how children develop, and how children develop language skills as well as being able to engage with the children with energy and enthusiasm so they can bring the language to life. In addition having a small class size is super important, enabling teachers to give children ample attention. That's why Mulberry House keeps its class size to 8 students with 2 experienced teachers. In addition, I always recommend parents check out a new school and its classes by going for a trial class. At Mulberry House, we offer a trial class that allows the parents to see the teachers in action and also see whether your child enjoys the learning experience. 2) What Is The Mix Of Native/Non-Native Speakers In The Camp? The best practice is to group children together with mixed language ability so that no single group of kids feels they are in the minority, but also that there is no majority of less fluent children who may tend to communicate in their first tongue. As children are learning about the world – as opposed to focusing only on learning a language and its technicalities – the fluent children will take away advanced vocabulary and knowledge, such as how friction works, while the less fluent children will learn more basic vocabulary but still learn about the world around them. The mix also means that the more fluent children tend to motivate and guide the less fluent ones. If your child is going to be surrounded by non-native speaking kids at the same level, it is a lot less effective and the camp cannot be called an immersion camp! 3) What Is The Learning Focus? Too often language schools focus on reading and writing, and often before the children have achieved any degree of fluency. As writing is rather repetitive, children with less confidence and fluency soon become bored and may even turn away from learning that language altogether. On the other hand, when a child likes and embraces the language, inserting a bit of literacy on a daily basis builds a long-term interest in the language and in its literacy. 4) Will Your Child Enjoy Their Learning Experience? Find out what activities the children will be doing in the camp. Language is best learned by hearing it and understanding the meaning through context, gestures, and activities that children enjoy. 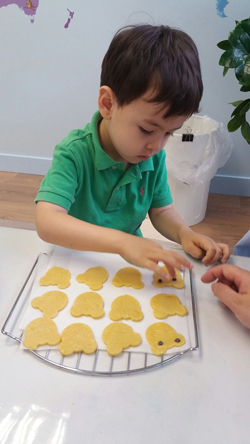 At Mulberry House we have a different theme for every week so for example, on week one the children will learn about food where activities will include making pies, Chinese rice dumplings, Sichuan Hot Pot, French croissant and other delicious treats. As you can see, the vocabulary will naturally include countries around the world and names of food, and also action words such as ‘mix’, ‘help’, ‘get’, ‘cook’ and so on. With the focus on the food, the children simply do not notice that they are learning. They are having fun! 5. Is The Physical Environment Designed For Active Learning? It's not just the language we hear but the language we see around us that helps us learn to speak an additional language. 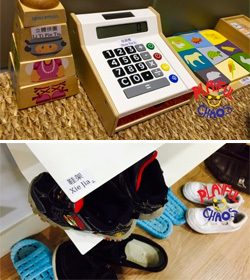 From exit signs to menus, from packaging to street signs, if the child were on vacation in a Mandarin-speaking city they would see information in the target language wherever they looked. The school should try to recreate this environment with child-height labeling to reinforce what the child is hearing. Essentially, a school should create a mini-Beijing for the children to experience like Mulberry House. What If My Child Doesn’t Understand Anything And Feels Left Out, Or Gets Bored? It is very normal for children to take a little time to get used to any new environment. Once settled in, understanding comes to children through context, gestures, and activities that they enjoy. 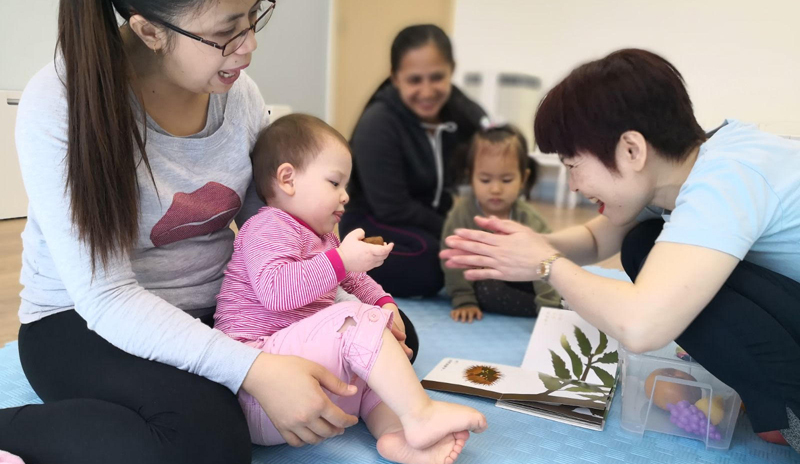 They may not understand everything at first, but as they get engaged in the class and motivated by their new friends, they will gradually pick up the tone, facial expressions, body languages of teachers and other children, providing context for the listening child. As they acquire more vocabulary, together with understanding, they will become more confident to speak. It is also super important that each child gets a lot of personal attention, and that's exactly why Mulberry House has one teacher for every 3-4 students, with a maximum class size of 8 children. Isn’t A Daily Camp A Bit Too Intense For Children? Firstly, a parent must make sure the camp is fun and that language learning is through immersion, not studied as a second language with the children focusing on technicalities such as vocabulary, sentence structure, and recitation. That would be intense in a daily camp format. Once you are sure the camp will be engaging for your child, a key benefit of a daily camp (or immersion school) is that learning is escalated because each day the child simply picks up where they left off the day before. Little time is lost trying to recall vocabulary and phrases they may have learned the week before, which is a typical problem of weekly classes a child might attend. This is a short answer to an interesting and well-studied topic: given the opportunity, immersion is the best way to learn a language rather than through language lessons. Full immersion means that the child sees and hears only the target language (in this case Mandarin), and the child is interacting with people only in this target language. This also requires the teachers to be more engaging than those who teach via translation. By repeating daily routines and learning about the world in the target language, learners have the opportunity to hear the same words and phrases repeated in the context of natural communication, and fluency comes naturally. By living life in the immersion language, learners embrace it just as they learn their first language! This is in contrast to language classes where language is studied by focusing on technicalities such as sentence structure and grammar, focusing on repetition before becoming fluent in listening and speaking. In addition, language is translated to/from another primary language such as English. This is a much slower and more boring way to learn. On the other hand, given the right learning environment, children have the ability to naturally inquire about the world using different languages without breaking a sweat!